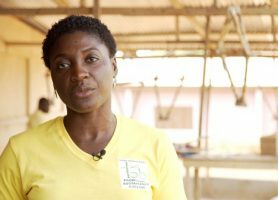 Dapaah founded the Ghana Bamboo Bikes Initiative to stimulate employment in her hometown. United Hawaii under one rule, abolished ancient taboos, and led negotiations with the fledgling United States. A phenomenally successful archaeologist who became a fashion icon for wearing men's clothing. The much-maligned woman fought tooth and nail to position her son, Alexander, to become "the Great" - and herself in the process. Through years of unrelenting protest, this Nigerian teacher felled a king, won women the right to vote, and taught all of Africa how to protest. After being saved from demonic forces, this legendary Indian princess is then subjected to endless purity tests by her own husband. She eventually puts an end to his questions in a manner that surprised everyone.